WHC.ca is a Montreal web host and has been in operation since 2003. The company has earned the trust of thousands of customers across the world for its superior service and products. Web Hosting Canada offers customer service response in both English and French and is an environmentally friendly company that is dedicated to reducing its carbon footprint. The web host is renowned for its dedication to online security and the safeguarding of customer data. 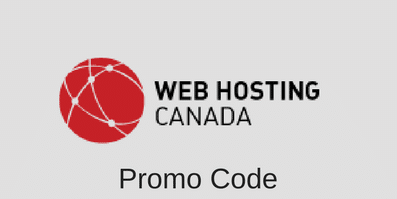 Web Hosting Canada offers a number of hosting plans, all with easy site builder and more than 900 templates. The plans offer unlimited web pages, as well as unlimited disk space and a high speed monthly data transfer. WHC.ca offers free domain name registration for the first year on two of their shared hosting plans and charges $9.95 for the other plan. You can host an unlimited number of websites on the Enterprise plan and the Pro plan, and 1 with the Starter plan. All plans come with more than 200 free applications and daily web statistics. The plans also feature a multi-lingual control panel. Shared hosting plans offer MySQL 5 databases and the Starter, Pro and Enterprise plans all include an unlimited number of email accounts. Other features include a 1 click installation, FTP accounts, a number of sub domains and a secure control panel. Plans are also available for 3 month or 1 or 2 year plan at a slightly higher monthly cost. WHC.ca offers offers four packages of Fully Managed Cloud Servers with cPanel. Halfway between shared hosting and dedicated servers, Cloud Servers provide performance usually reserved for dedicated servers at much more competitive prices. All Cloud packages offer unlimited bandwidth and are provided with cPanel, and fully managed. Depending on the chosen okan, you’ll enjoy up to 8 CPU cores, 16GB of memory (RAM), and 200GB of disk space. The Clouds Web Hosting Canada provides offer flexible resources that can be increased at any time, as needed. They also allow you to host unlimited domains. Moreover, optionally, you can select their Advanced Management services for $99 a month for increased monitoring and configuration of your system and your resources. As mentioned earlier, cheaper pricing is available if you take a plan for a longer period. WHC.ca offers several dedicated server plans to suit a range of needs. The company offers high end servers for Linux, Windows, and your choice of OS and an eco-friendly data center in North America or Europe. Dedicated server plans come with a free Plesk control panel and unlimited bandwidth. Plans have up to 4 IP addresses with database centers located in North America or Europe. Web Hosting Canada offers a four hour guaranteed hardware replacement, if necessary, and most servers should be up and running in 24 hours or less. Plans have 2 GB of free FTP backup, remote reboots and restores and dedicated support staff. Web Hosting Canada operates three reseller hosting plans, the Reseller Starter, the Reseller Pro and the Reseller Enterprise. Resold accounts are unlimited on the Pro and Enterprise plans and up to 200 GB of disk space available. Reseller hosting plans all have unlimited high speed monthly data transfer. The plans also feature a client’s control panel, private name servers and a free domain name. All plans have easy Site Builder with more than 900 templates and 200 applications along with 1 click installation and MySQL 5 databases. Prices for reseller hosting plans are $15.96 (Starter), $31.96 (Pro) and $63.96 (Enterprise) per month for a 3 year plan. Other pricing structures on a 3 month or 1 or 2 year plan will be slightly more expensive. WHC offers the typical Webmail interface of cPanel that you can connect to if you want to read your emails sent to the email addresses linked to your domain name; e.g. info@yourdomainname. You can create your email addresses through cPanel in your client area via Services > Login to cPanel. To access your emails on WHC Webmail, it’s very simple, log into your WHC client area at clients.whc.ca, click on Services, and then click on Login to Webmail. Customer service and specialist technical support seems to be a top priority for WHC.ca and there is a team of specialists available through the online help desk, via email or on a toll free phone. Web Hosting Canada’s customers like the diversity of their products and services, and the company is also committed to the environment. WHC.ca is a great option for people looking to host their site on Canadian servers. By using the Web Hosting Canada promo code, their price point is now one of the lowest in the Canadian web hosting industry, and comparable to options like GreenGeeks.ca and HostGator.com. You can visit Web Hosting Canada at www.WHC.ca.